A logical way to see all of US Route 89 is to start at one end and drive to other. 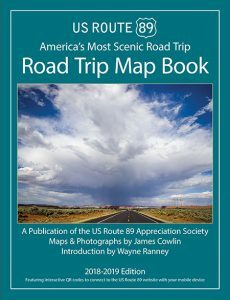 If you are driving your own vehicle and live in the western United States, that is the best way to see it all. But what about folks who are traveling a long distance from the eastern US or from abroad. For them a logical solution is to rent a recreational vehicle at one end and return it at the other. Unfortunately, that is much easier said than done. Because I have been asked by a number of people for advice on one-way RV rentals, I have done some research to find out what is possible. The main problem is that most RV rental companies have a central location where you pick up and drop off the vehicle. 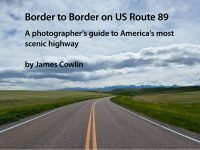 There really is no option for them to rent one-way on US Route 89. All requests for a one-way rental go through a review process, which takes no more than 24 hours. A one-way that has been approved needs to be booked within 48 hours. Whether or not it is approved depends on the availability of a vehicle and the willingness of the dealer. Rentals through corporate owned stores are more likely than from independent dealers. Along US 89, corporate stores are located in Phoenix and Salt Lake City. Independent dealers are located in Tucson and Flagstaff, Arizona; Orem, Utah and Belgrade, Montana, near Bozeman. For the best rates, it is advisable to book at least 3 months in advance. Pricing is based on availability and RVing is definitely a seasonal business. 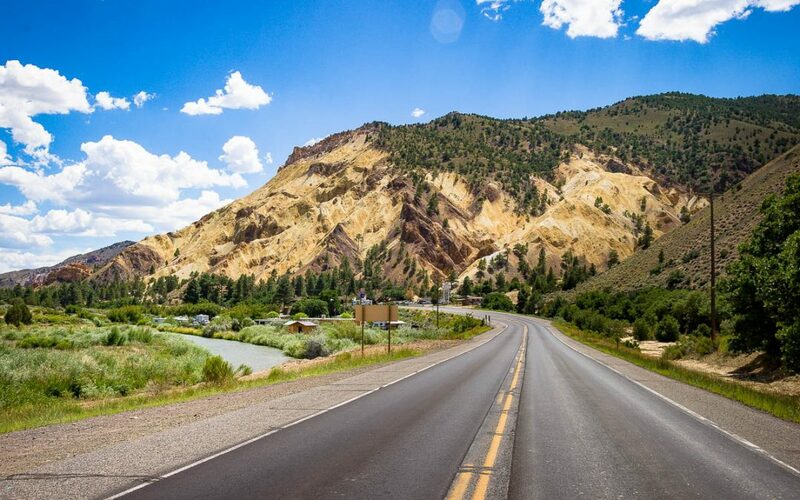 July and August are are peak times of travel, especially around the National Parks. There is an additional drop-off charge of $150 to $300 for one-way rentals. Donna offers this tip if you are not locked into a schedule: Sometimes Cruise America needs to relocate vehicles. They are listed on the website under “Hot Deals” – they can change hourly and are reserved on a first requested/first served basis. Spring or fall is probably the best time to look for a Hot Deal and the rental fee is often greatly reduced. Another idea to consider is doing a round trip in an RV if you have the time. 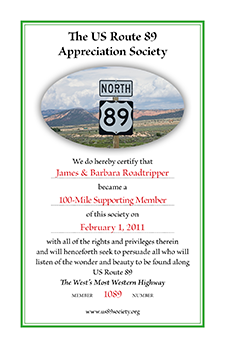 A couple of years ago, Barbara and I started at the Mexican border in Nogales and drove to the Canadian border and back to our home near Tucson. We were on the road for 32 days. We started in the middle of May and spent two and a half weeks getting to Salt Lake City which is about half way. Then the weather turned cold and rainy so we headed straight for Glacier National Park on the Canadian border in a two-day drive. We spend the next week and half working our way back to the North Rim of the Grand Canyon, with a long stop in Yellowstone. Then we drove back to southern Arizona in a day. What I’m suggesting is that a round-trip from one end or the other of US 89 is quite doable. You can visit some places in one direction and others on the way back. It also gives you some flexibility to adjust your schedule for weather conditions or other unforeseen circumstances. In case you are wondering, I have no connection to Cruise America. I have never rented one of their RV’s. 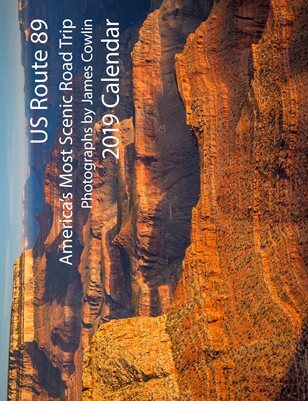 I am providing the above information as a service to those interested in using a recreational vehicle to explore US Route 89. Have you done a one-way RV trip on US Route 89? Tell us about it in the comments below.